Befitting a town with seven renowned colleges, Claremont, 30 miles east of downtown Los Angeles, is rife with cultural treasures. With several unique museums, a thriving arts and music scene, and the world’s largest collection of native California flora, those who crave arts and culture can surely get their fix. Local museums include The Raymond M. Alf Museum of Paleontology, the only nationally accredited museum located on a high school campus in the nation, and the Claremont Museum of Art now housed in the historic Claremont Depot. 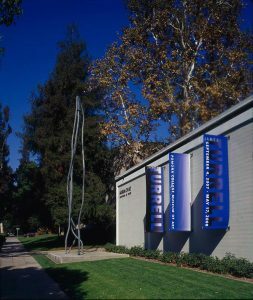 The Pomona College Museum of Art, in addition to offering high-quality rotating exhibits, houses the college’s fine art collections including the Kress Collection. The Petterson Museum of Intercultural Art at Pilgrim Place offers rotating culturally-themed exhibits of an impressive collection of international artifacts. Whether at the colleges or strolling through the Village, visitors to Claremont will find multiple galleries such as Studio C laremont and Ruth Chandler Williamson Gallery, plus dozens of pieces of dazzling, world-class public art. 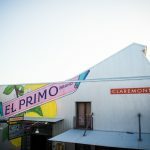 Art exhibitions are showcased throughout the Claremont Village during the First Saturday Art Walk, which is held on the first Saturday of the month from 6 to 9 p.m. The event is open and free to the public. More unique public art and gardens can be found on the college campuses. If you think nature is the ultimate artist, you’ll want to visit the Rancho Santa Ana Botanic Garden, the largest botanic garden dedicated to California native plants and the 10th largest herbarium in the United States. 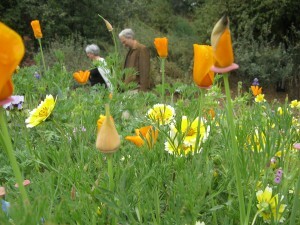 Tours are an ideal way to learn more about the garden and California native plants. Guided walking tours, self-led group visits, narrated tram tours for visitors with impaired mobility, and regularly scheduled guided tram tours are all available. For more information, call 909-625-8767. Quirky reading, anyone? Local artwork and an eclectic array of books can be found at The Claremont Forum Bookshop & Gallery, run by the Claremont Forum, a non-profit community organization that sponsors the nationwide Prison Library Project and sends hundreds of books a month to inmates nationwide. For theater lovers, there’s the Candlelight Pavilion Dinner Theater, which has been offering concerts and musical theater productions, paired with top-notch fare, to Claremont audiences for over a quarter of century. The Piano Piano Dueling Piano Show, geared for those who prefer Adult humor with their tunes, is home to world-class performers, most of whom regularly appear in Vegas. From jazz to indie rock, The Press Restaurant offers an array of live concerts performed by local musicians throughout the week. Seasoned musicians and novices alike will enjoy discovering a collection of rare and antique musical instruments and artifacts from around the world at the famous Folk Music Center Museum and Store, owned by the family of Grammy-winning, singer-songwriter Ben Harper. In addition to the opportunity to play one of the magnificent musical instrum ents displayed on the wall, the Folk Music Center offers classes and workshops for budding musicians, a lineup of musical performances from local and international folk performers, and an Open Mic on the last Sunday of every month. 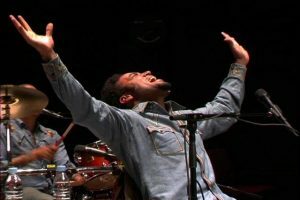 The Folk Music Center also hosts the annual springtime Folk Music Festival, which has featured acts such as Ben Harper, Jackson Browne, Taj Mahal, David Lindley, Tom Morello, Henry Rollins, and Dave Alvin.